Born and educated in Toronto, Margi Taylor Self graduated from the Ontario College of Art and Design with an Associates Degree (AOCAD) in 1976. She was awarded the G.A.Reid Scholarship in her third year. Her interest in design and communications has led her on a career involving promotion, public relations and marketing.Her love for art and the creative process has motivated her to paint and do print-making which has culminated in a number of art shows in Canada and Europe. 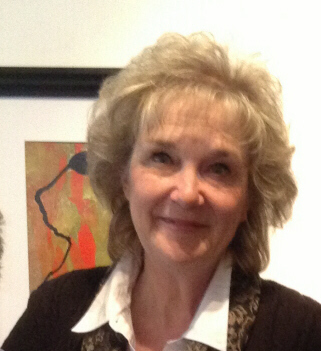 She has exhibited with her father, Peter Kaups, a water colour artist, at six two-person shows a well as in numerous juried art exhibitions. Her work can be found in private collections in Canada and throughout the United States & Europe.I hope you enjoy my art, and that it gives you a better appreciation of my work and the artist in general. Her studio is located in the historic Alton Mill, www.altonmill.ca Alton Ontario.